Doron Precision Systems has been awarded its largest military contract to date, supplying multiple simulators to the U.S. Army Reserves (USAR) based on its 660Truckplus™ model. USAR will use the simulators to train drivers for its most commonly used vehicles, adding an entirely new dimension to its truck driver training program and providing a powerful training tool, ultimately leading to more proficient and safer soldiers. Small company makes big wake with largest military contract to date. Doron to support US Army Reserves with driving simulators. Doron Precision Systems, Inc., a company well known in the commercial trucking industry, will soon be applying its extensive experience in truck driving simulators to help train U.S. Army Reserves (USAR) execute their missions inside and outside of the United States. The company was recently awarded its largest military contract to date, supplying multiple simulators based on its 660Truckplus™ model. 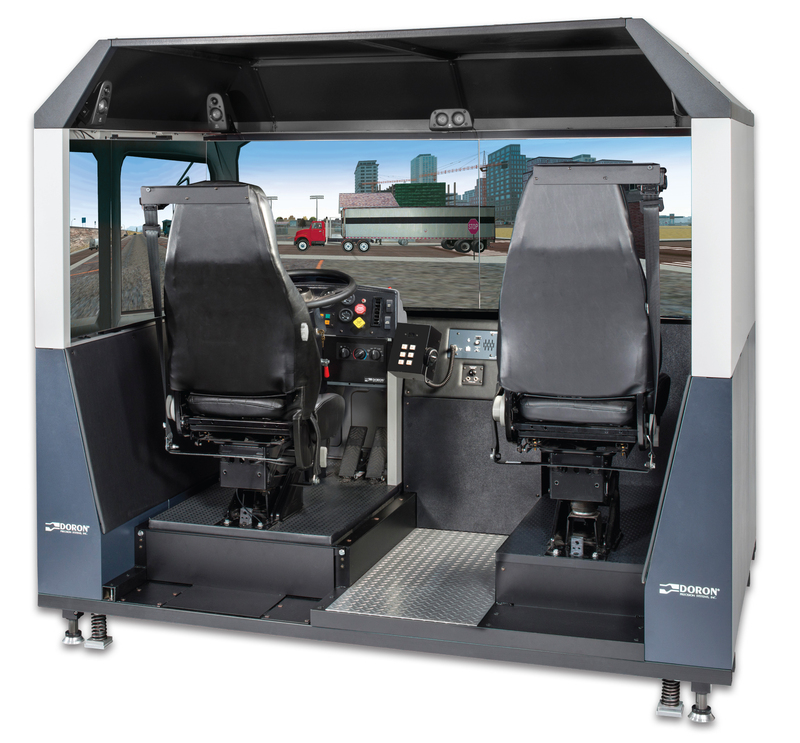 The interactive simulator provides a dynamic and immersive training experience for a wide variety of commercial and military truck-driving applications. USAR will use it to train drivers for its most commonly used vehicles, including a tractor trailer, two tanker trunks, an 80-passenger bus and the Joint Light Tactical Vehicle. Doron has provided thousands of driving simulator systems to educational, military and commercial customers throughout the world. Truck simulator users report lower training and liability costs due to shorter training times, lower collision rates and improved safety. Delivery of the simulators is scheduled to begin in late 2017, and Doron will provide installation, training, and maintenance support through 2023. The company maintains a professional staff of technicians located throughout the United States, which will support the USAR contract.